We provide off vehicle fuel injector servicing facility on the latest acoustic technology. The injectors are electronically tested, flow rate and spray patterns are analyzed and later cleaned with the acoustic cavitation. 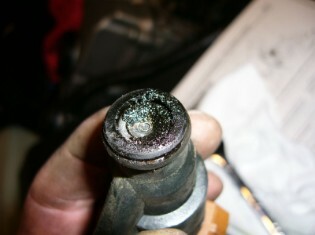 The injectors are checked again for flow volume and spray patterns after servicing. FI-Tech is operating only in Lahore so far, yet it is at service to car users all over the country. To facilitate customers outside Lahore, FI-Tech provides services through courier. The injectors received through courier are sent back same way. We put our best efforts to courier back the serviced injectors same day along with pre-cleaning and post-cleaning flow data test sheet. PKR 3500/- for max 4 injectors of all EFI cars upto 2000 cc.